As promised, The Last Hurrah is keeping the Okt/Oct/Aucht in Octoberfest with three weeks of spooktactular shows! It all kicks off on October 5th with Ghosts. Host Kevin Cole will be joined by Laura Stark (The Comedy Pigs) for an night of ghost stories and comedy! And if all ghosts according to plan, a special guest may just swing by for a visit. Do you have a ghost story you’d like to share? Come on down and share it with us! 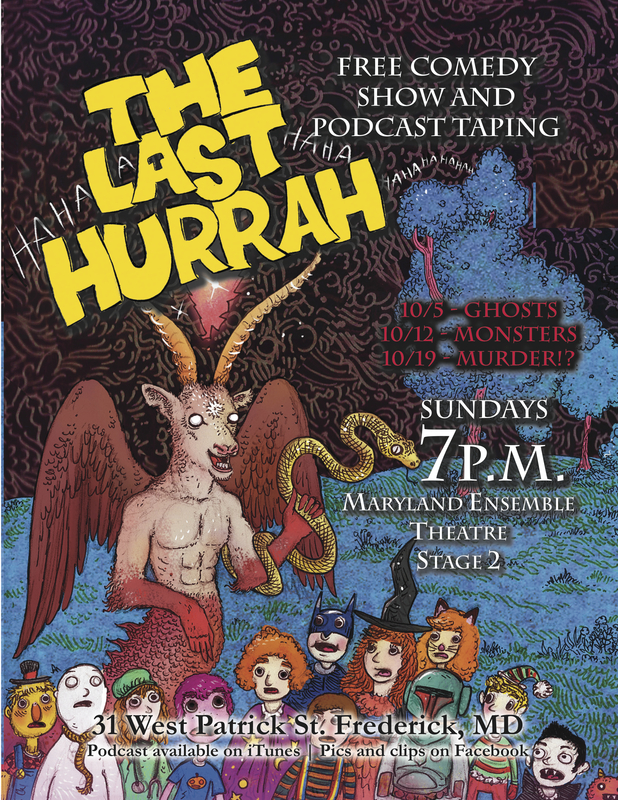 The Last Hurrah is taking place Sunday, October 5 at 7pm at the Maryland Ensemble Theatre and admission is completely free! But by all means, join our audience for once why don’t ya! UPDATE: Christine McQuaid is unable to make it this week, but she will be on the show on Oct 12th for our Monsters special.